The leadership of National Association of Nigerian Students - Joint Campus Committee DTS Axis under the watch of her Chairman Comr Ogonegbu Precious today 18th October 2017, pays a visitation to the office of the Executive Assistant to the Governor on Entertainment(Sebastine OKOH) in his office at Asaba Delta State. The delegation which was led by the association vice chairman Comr Uzuazor Gift Zuaric, was basically on the partnership with office of the SA entertainment to promote peace, unity and celebrate the power of oneness despite the political party or ethnic group. The office of the EA entertainment in collaboration with "DELTA ENTERTAINERS" whom believe in One Delta, One People, One Stage present "DELTA UNITY CONCERT 2017". While discussing, the EA entertainment to the governor note that the only way of promoting peace and unity in the state is by organizing a unity concert, where by all stakeholders will be involved irrespective of the political party or ethnic group. Speaking further, he said the concert is gear in uniting ourselves and we are to preach unity through entertainment. The Director of Action and Mobilization of NANS DTS axis Dio Oghale Emeka Rex, while responding, gave thanks to the EA entertainment who acknowledge that in uniting a nation or a state the student body are highly needed. While responding, Dio Oghale Emeka Rex said it is a welcome development and the leadership of NANS JCC DTS axis are very in support of the concert as it is targeted toward promoting unity, peace and oneness among Deltans irrespective of the political party or ethnic group, noting that when a nation is peaceful, it pave way for development and other good things. 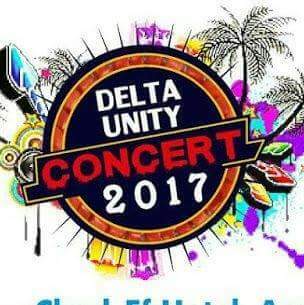 The concert which is to take place on the 27th of October 2017, at the Dome Event Center in Asaba is free for everyone as there is no entrance fee attached to it, more also the Chairman, Planning Committee on Delta Unity Concert (Frank D Don), also stated that there will be a peace walk starting from Tuesday 24th and Wednesday 25th October around Asaba and Warri axis of the state, saying the peace walk is aimed in sensitising our people on the need to embrace unity. In conclusion, the student union government President of Delta State University Abraka (Comr Igbuku Mamus Christain) gave vote of thanks to the EA entertainment and again appreciate him for his initiative and reaffirm him that the students leadership in the state are solidly behind him and are ready and happy in partnering with him in promoting peace, unity and celebrate oneness among Deltans as we are all lover of peace. The meeting which started about 2:30pm lasted for about 3 hours. Published by; Campus Reporter Media. Dio Oghale Emeka Rex reporting from Campus Reporter Media. 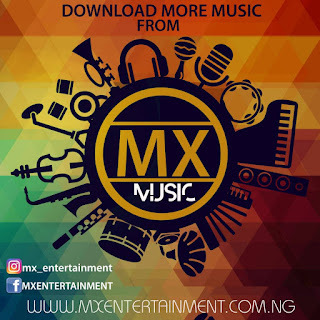 0 Response to "NANS GOES ON PEACE WALK AROUND DELTA STATE"